Turkish President Recep Tayyip Erdogan and his Paraguayan counterpart Mario Abdo Benitez agreed to further strengthen bilateral relations during a meeting in the capital Asuncion on Sunday. In a joint press release, published following the closed-door meeting, the leaders praised "strong diplomatic relations between the two countries". Paraguay and Turkey will open diplomatic missions in Ankara and Asuncion simultaneously, according to the statement. 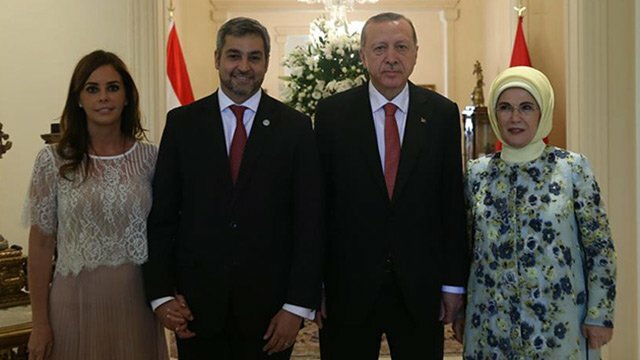 Turkey's first ambassador to Paraguay will be Armagan Inci Ersoy, it added. Erdogan and Benitez also agreed to take steps for further development of bilateral relations in economy, education, culture, science and technology fields. "The two presidents have stressed the importance of multilateral cooperation in the fight against terrorism and transboundary crimes," it added. They also emphasized boosting investment, underlining the importance of bilateral trade relations.